Jio is still making 4G Data available to customers at extremely low prices. But in the telecom sector, Airtel is also competing in every case. 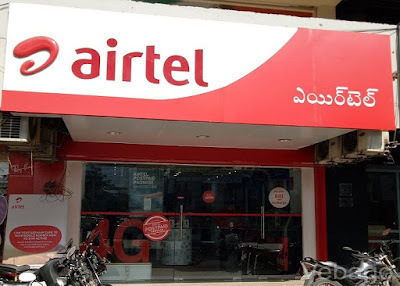 Now Airtel has made a change in the Rs. 98 pack. The company is now offering 5GB of 4G/3G data for 28 days in this plan. At present, the benefits of this plan will be available to the customers of Andhra Pradesh and Telangana Circle. However, customers will not get the benefit of calls or SMS in this plan. These plans have been specially made for those who need more internet than a voice call. Apart from this, recently, Indian telecom company Bharti Airtel has partnered with HMD Global. Under this partnership, Nokia 2 will be sold at an effective price of Rs 4,999. The company has presented it under my first smartphone scheme. Earlier, many budget 4G smartphones have been launched. Nokia 2 and Nokia 3 are both 4G smartphones, and Airtel is giving the cashback of Rs 2,000. Both these smartphones will get Airtel plans. The plan starts at Rs 169 and under this plan 1GB 4G data will be provided every day, and local STD Unlimited Calling will also be given. Significantly, the actual price of Nokia 2 is Rs 6,999, and it will get a cashback of Rs 2,000. Hence its effective price is Rs 4,999. Nokia 3 will get you with an effective rate of Rs 7,499.